If your SEO strategy isn’t getting the results you expect, it can be tempting to blame Google’s ever-changing parameters. True, as Google search result rankings become ever more intelligent, the task of SEO can get harder. However, in reality it’s more likely that your SEO isn’t performing as you’d like because of some basic errors. The good news is that they’re easily corrected. 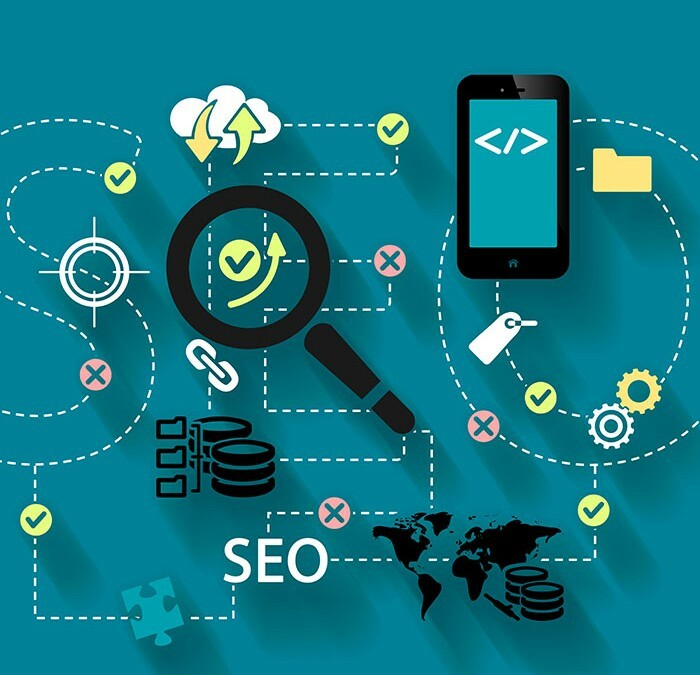 These are just some of the reasons why your SEO strategy may be failing – and what you can do to get your website back to where it needs to be. Too many companies put together an SEO strategy (or get an agency to do it for them), then sit back and expect the results to keep coming in year after year. But SEO is a living, moving discipline. What worked in 2014 may be penalising you in 2015. You need to keep moving if you want to stay ahead of your rivals. While most digital agencies are fantastic at what they do, some aren’t so good – is yours sitting back on its laurels after a good first year? What to do: Look at your strategy again. Find out what’s currently working in SEO and what isn’t. Adapt and change what you’re doing accordingly. If you’re using an agency, ask how they’re monitoring, refining and adapting your strategy to move with the times. If you’re not convinced by their response, it could be time to look elsewhere. We’ve all experienced the frustration of visiting a website on a mobile phone or tablet, only to find it difficult to move around because it hasn’t been optimised for mobile devices. Faced with this, any user is more likely to give up on your website and find a different one that’s easier to read on a mobile. With up to 50 per cent of web browsing now taking place on mobile devices, you can’t afford to lose up to half of your potential customers because your website looks terrible when viewed on a mobile phone. Not only does Google notice that your users are quickly moving on, but it’s now actively penalising websites that aren’t optimised for mobile. What to do: you absolutely must make sure your website is optimised for mobile devices. If you’re not sure whether your website already is, check with the designer or agency who created it – or even quicker, try to visit it on your mobile phone. If it’s not, get your agency on the case, pronto. Successful SEO used to be all about having lots of links from other websites to yours. Nowadays links still count, but simply having thousands of links in second-rate, spam-filled directories raises lots of red flags with Google, and could actively damage your rankings. You need natural-looking links on high-quality, trusted websites. Google knows the difference. What to do: if you use an agency to do link building, find out what kinds of links they’re prioritising. Make sure they’re going for quality over quantity. And don’t be tempted to go for one of the “thousands of links for £20” promotions that pops up in your inbox. It will only damage your SEO performance. Your website might be stuffed to the gills with content – information about your products, blog posts with the latest news, videos to watch or manuals to download – but if people aren’t visiting your site and sharing your content, your SEO efforts will fail. Great SEO content is now about quality over quantity – Google can spot a key-word stuffed, self-serving blog article that no one is reading from an original, high-quality, well written and engaging blog post. What to do: write stuff that will draw people in, make them want to keep reading, strike up a conversation with you, or share with their friends. Work on the mantra that less is more. Focus on the content that you can do brilliantly – even pay someone if you need to. Promote it on social media. Then when people start sharing and conversing, be sure to respond. When people search the web for trades or services, they want to find companies close by. Choose keywords that are too general and location-less (such as “plumber”) and you’ll find it almost impossible to beat the competition. Even if you do, it won’t do you much good to be top of the search results for web users in Edinburgh or Cornwall, if your plumbing business only serves customers in the Crawley area. Make sure your keywords are targeted for people searching for your services in your area: “registered plumber Crawley,” for example. What to do: review the keywords you’re targeting. Try to find keywords that aren’t so narrow that no one will ever search for them, but are specific enough that they’ll find you a niche you can fill. And remember to include your location. Then monitor how your keywords are performing – if something isn’t working, change it. It’s not uncommon to hear people complaining that they’ve had an SEO agency working for them for a few weeks but it hasn’t made any difference. SEO is a long game – it can take months to see the results. Your agency wasn’t fobbing you off when they told you that. You just need to have a little bit of faith. What to do: stick with it. Make sure your strategy is continually being reviewed and refined, and that you’re not making any rookie errors. But try to look upon it as an investment that will eventually reap rewards.